Ocean Clinic won the Essential Magazine Award for the 2nd Year in a Row! 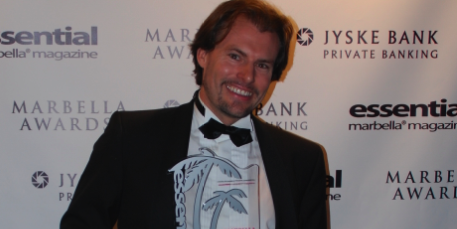 Ocean Clinic is once again the winner of Marbella Awards organised by Essential Magazine. Dr Kai Kaye of Ocean Clinic shares his emotions and thoughts on the big recognition! 1. What does the award mean to you? Winning the award the second year in a row is a great compliment towards my team and me and confirms our goal: That our patients are happy and like the way we work. 2. Why did you think Ocean Clinic won? 3. How important do you consider these awards? I think that Essential Magazine did a great job over the last 6 years, starting with a very small, almost private event with only a few participants and voters, bringing it to what it is today - a yearly event that in my opinion really reflects how popular a business is in Marbella, face to face to its competitors. 4. For who did you vote and why? Naturally I did vote for my clinic, because I think I could not expects others to believe that we are better than our competitors if I don't believe in it myself; but naturally I voted equally in all other categories for the businesses I consider the best - it is a personal choice, for sure, which reflects your own experiences. 5. What is the key to Ocean Clinic's success? I love my work, I dedicate a lot of time to it, and so does my staff, and we always try to go the extra mile to make our patients happy - I think these factors are paramount, besides safety of the treatments, quality and results. 6. What are your plans for the future for Ocean Clinic? We will be growing into our new extension by the end of the year, offering our patients more space, our own operating theatre, overnight rooms and services of some new medical specialities- here again we will offer the concept of a very unique, luxurious concept boasting the newest, state-of-the-art equipment, an outstanding staff and our personal touch all under one roof. See the full gallery of the event HERE!